Honda is no stranger to surpassing safety standards and regulations. After all, they are a leader in the automotive world when it comes to safety ratings, so it’s no wonder the 2017 Honda Ridgeline takes the title as the first pickup truck to earn a TOP SAFETY PICK+ rating  from the Insurance Institute of Highway Safety (IIHS). The new Honda Ridgeline ran as a finalist for the 2017 North American Truck of the Year award, no doubt aided by the incredible safety features and innovative systems it offers. It isn’t just the first pickup to earn to prestigious award, but the only one holding it now, giving you an idea as to just how difficult the IIHS’ tests really are. Two other Honda models earned the TOP SAFETY PICK+ for the 2017 model year , with an additional three other models receiving a TOP SAFETY PICK , an achievement worth mentioning on its own. The regulations have been tightened for 2017, making these accomplishments that much more impressive. This firmly cements Honda as the world leader in safety ratings as well as safety features. Speaking of features, Honda offers a broad range of both active and passive safety systems, such as Honda Sensing, which is a bundle of advanced safety and driver-assistive technologies. They can completely avoid a collision or drastically reduce the severity by mitigating it. Currently, more than 300,000 Honda sensing-equipped vehicles are on the road in the U.S. alone, with plenty more on the way. As of now, the technology is available on the Civic, Accord, CR-V, Pilot and Ridgeline. 2017 Honda Ridgeline safety features include, but are not limited to: Forward Collision warning (FCW), Lane Departure Warning (LDW), Lane Keeping Assist System (LKAS), Road Departure Mitigation (RDM), Adaptive Cruise Control (ACC) and of course, Collision Mitigation Braking System (CMBS). 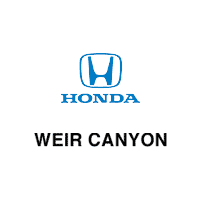 To test drive a 2017 Honda Ridgeline near Irvine, CA, or find a 2017 Honda Ridgeline for sale in the Anaheim, CA area, visit Weir Canyon Honda. We’ve got a full 2017 Honda Ridgeline inventory you can choose from, as well as other new and used Honda models. If you’re from Brea, Fullerton, or anywhere in Orange County, CA, give us a call and arrange to test drive a new Honda today!